We love collaborating with companies to create unique designs, bringing their brands to life in new ways. Your custom Love Bottle is an opportunity to leave a lasting, memorable impression with your guests, clients, employees and partners with a beautiful takeaway. 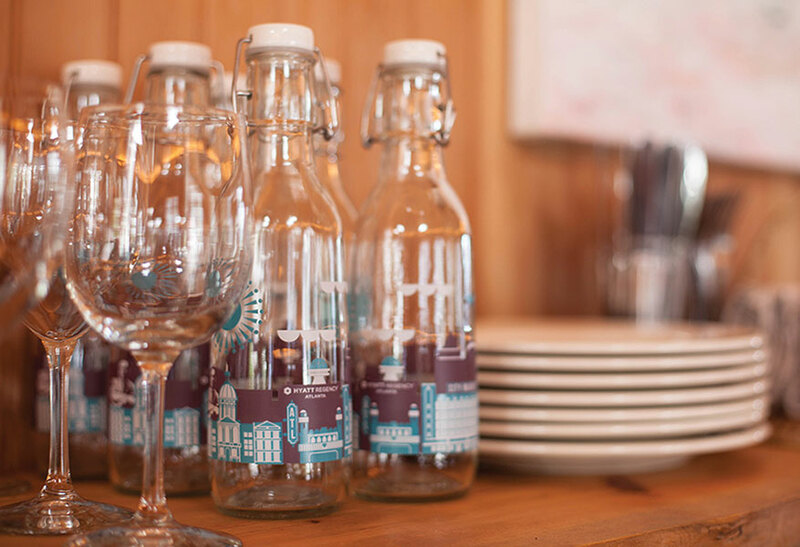 Love Bottles also provide an eco-friendly option for use on site for an event or at your location, replacing throwaway cups or plastic water bottles. Love Bottles have a large area for your design that wraps around the entire body of the bottle. Your design will be printed using a non-leaded ceramic ink that is durable, scratch resistant and dishwasher safe. Every Love Bottle has Love embedded in the glass with a raised heart on the chest and a UR Loved on the bottom. The ceramic swing top lids are artisanally handcrafted which gives a beautiful old world European feel to your customized glass water bottle. Love Bottles are an elegant way to showcase your unique brand and voice. "At Coconut Bliss, we always source the best. Whether it's the best organic ingredients, the most sustainable office supplies or the cleanest water bottle on the market, we are committed to high quality through and through. We recently began working with Love Bottle and could not be happier! From the design process, to the samples and final ship order, the communication was clear and the process was easy (and fun!). Thank you, Love Bottle, for your commitment to excellent customer service, your commitment to clean water for all, your commitment to changing the world and your commitment to protecting our Earth. 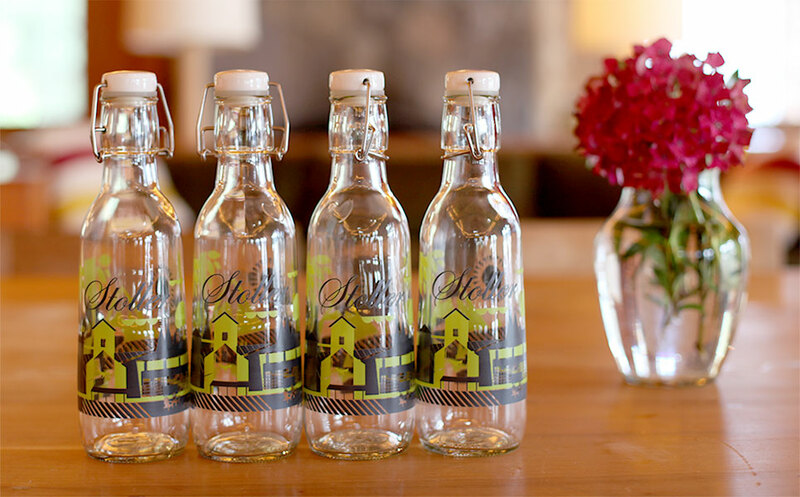 It is an honor to see our brand design elements flow seamlessly and beautifully upon your clean, recycled Love Bottles." Download your Custom Love Bottle Catalog and contact us to get the conversation started!